Confirm your attendance by completing the RSVP form. Bonus Homework: Read a collection of articles featuring Dr. Clifford’s thoughts on career planning at Science Careers. Philip Clifford is Associate Dean for Research in the College of Applied Health Sciences at the University of Illinois at Chicago. He is an outspoken advocate of career and professional development for PhD scientists. In addition to founding the Office of Postdoctoral Education at the Medical College of Wisconsin, he helped initiate national reform by participating in the establishment of both the National Postdoctoral Association and the AAMC GREAT Group Postdoctorate Leaders Section. He is a coauthor of the widely acclaimed career website, myIDP.sciencecareers.org and an accompanying series of career planning articles in ScienceCareers. 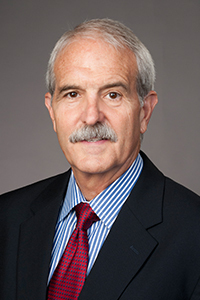 He was honored with the NPA Distinguished Service Award in 2012 and was part of the team that received the AAMC’s Innovative Institutional Partnerships Award in 2013. Dr. Clifford heads an active research program investigating the physiological mechanisms regulating skeletal muscle blood flow during exercise. His research laboratory has been funded by the NIH, the American Heart Association, and the Department of Veterans Affairs. He is a fellow of the American Heart Association, the American College of Sports Medicine, and the American Physiological Society Cardiovascular Section. He serves on the editorial boards of several physiological journals, and participates on grant review panels at the NIH, NASA, and the American Heart Association. He is also a consultant in the medical device industry and a member of the Anesthesia and Respiratory Devices Panel at the FDA. This entry was posted in Career Corner, Events, Mentoring. Bookmark the permalink.